From your full pitching wedge distance, how many clubs (excluding your putter) are you carrying in your bag? What’s the loft on your pitching wedge? Is it 46° or stronger? Do you have a club to fill the gap between the PW and sand wedge? 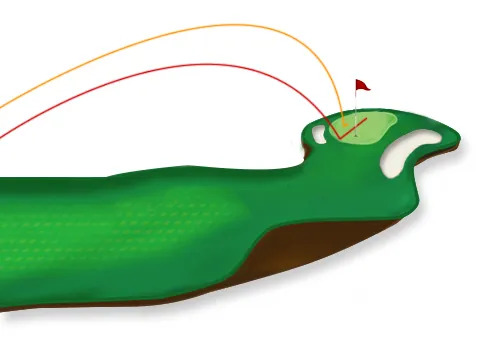 Rather than a ¾ pitching wedge that runs out a little, would you be better off adding a wedge with a loft that allows you to play a full shot, generating more spin and control? Do you have a club that allows you to land 40-yard pitch shots softly? Is this a 60° wedge or a wedge that allows you to open the face? If you’ve never had a short-game or scoring club assessment.